What’s better than getting tubes in the mail? Getting tubes in the mail that you haven’t paid for. Before you start muttering and cursing me under your breath, I’ll have to pay for any I want to keep. The tubes will be returned to Thetubestore.com at the end of the shootout. Still, the short-sighted fantasy of free tubes is fun; it’s something every tubeophile dreams of. I’m chomping at the bit, and to speed up this process so I’m going to string three 6DJ8 tube-using components together so I can break in eight tubes at once. This will still take me about 12 days to do all six sets, twenty-four tubes in total. I know myself well enough that if I procrastinate, I’ll lose interest. That, and for nearly 25 years I worked for a company where, if you didn’t deliver the goods, you would be out on your ear fast. In Tim’s EL34 review from January 2016, he made mention of the fact that it was a drawn-out process. With all due respect to Tim (I’ve not met the man but I enjoy his writing), dragging things out isn’t for me. Before I get started with the latest batch, I’m going to refresh my ears with my favourite affordable tubes so far. For a one-tube solution the Tesla ECC88’s are an easy choice, however they’re about double (still not bad considering they’re NOS) what the plain-pin JJ E88CC’s cost. The JJ is a close second on sound quality, and the fact that it’s the least expensive of all the tubes in this shootout is a bonus. The high performance yet frugal solution for the N-F-P line stage is to use two Teslas and two JJ’s, see below. My tweaker favourite for the N-F-P is a combination of the Teslas for the gain tubes and the JJs in the output position. Refer back to Part one for a full description of this. Before starting in on the second batch of tubes, I’m going to refresh my ears with the Tesla/JJ combination, as they have the sound to beat, so far. I’m starting off Part 2 with some of the Russian-made tubes. True confession time first; I’ve always had a tough time liking the Russian 6DJ8 equivalents. Any I’ve heard up to now have been from the Soviet (USSR) era, and either sounded bland and uninvolving, or kind of harsh and a bit fatiguing; but I’m willing to give them another go. Things have changed a lot, though some not for the better in Russia, since the Berlin wall came down in 1989. Many Russian tubes I quite like, the ones in my ARC gear come to mind specifically, and the Electro-Harmonix 6CG7 is my second favourite tube of this type – and only slightly bettered by a rare NOS GE. NOS. Thetubestore.com $59.95 US ~$81 CDN. 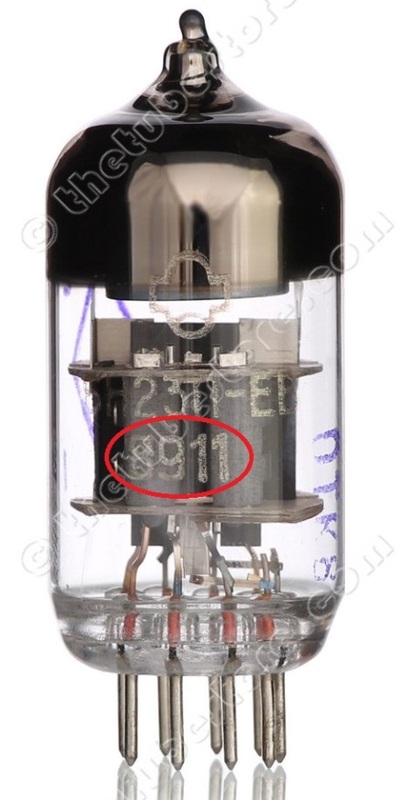 Speaking of 1989, the 6H23p-EB tube pictured on Thetubestore’s web site is date-coded as being manufactured in November 1989 – the month and year the Berlin wall came down! Just seeing the boxes they came in, with the Cyrillic text and “Made in USSR”, made me want to get out my DVD of Roger Waters The Wall Live in Berlin. Sound: The 6H23p-EB tube is refined, restrained and nuanced. Starting with the bass, the 6H23p-EB is slightly less forceful, but more controlled and articulate than the Tesla ECC88/JJ E88CC combination. The midrange is nicely detailed. Male and female vocals are more present and detailed as well. The twang of guitar strings in Knopfler’s Golden Heart is more apparent. This increased detail is not at the expense of treble smoothness : it’s nicely detailed, yet doesn’t seem to overemphasize the vocal sibilance of the McLachlan and McKennitt tracks. There is, on occasion, a very slight treble hardness, but this is a minor failing in light of all the things this tube does well. I have about 90 hours on these tubes and it would not surprise me if this would smooth out a bit more by the 200 hour mark. Dynamically, these tubes are a bit buttoned down, compared to the Tesla ECC88/JJ E88CC combo. But the articulate midrange and treble draws you in to the music and makes the slight shortcomings easy to forgive. The price is reasonable for the performance offered, and certainly seems like a bargain compared to the high prices and questionable performance of some of the NOS tubes I reviewed in Part 1. Conclusion: I wasn’t expecting the 6H23p-EB to be this good; still, it’s a bit pricey if you need more than a pair. I hope the current production Genelex and Electro-Harmonix can give it a run for the money. Rating: 85 Recommended. I would score it higher, but it exceeds my US $50 self-imposed limit. If your system craves a bit of midrange magic that has eluded it so far, these might be just the thing, and the extra 10 or 20 bucks a tube might seem like a small price to pay to get it. A wall of these is good! Current production. Thetubestore.com $45.95 US ~$62 CDN. Sound: This Russian-made tube comes hard on the heels of the Reflector 6H23p-EB. It sounds surprisingly similar in many ways. Generally speaking, the Genalex sounds a little more up-front than the 6H23p-EB. Compared to the 6H23p-EB, the bass of the Genalex is a bit more tuneful and controlled but very slightly less deep. The midrange is good, with nice guitar twang on the aforementioned Golden Heart. Male vocals are nicely present, but the female vocals in the McLachlan and McKennitt tracks are just a smidge less so, compared to the 6H23p-EB. I can’t fault the Genalex – it’s just that the 6H23p-EB is a little bit more, for lack of a better word, atmospheric. I’m really pleased to see, or should I say hear, a new production tube that sounds really good. It is a little pricey, but at least, or maybe I should say at last, there is current production tube that is good enough to be compared with any tube in the 6DJ8 family, new or NOS. It was also easy to get a good electrical balance on the quad of Genalex, see description below. Conclusion: A winner. It’s good to see a new production tube that can give the decent NOS some competition. Rating: 85 Recommended. I’m scoring this the same as the 6H23p-EB, even though I like the 6H23p-EB a little bit more. It counts that the Genalex is almost $20 CDN a tube less. To calibrate my ears, I put my personal set of Tesla ECC88’s back into the N-F-P. Though still appealing, they are noticeably, though not by a lot, less nuanced than the Genalex and the 6H23p-EB. I do, however, like the way that the Teslas seem a little bit more exuberant and let go of the notes a little easier than either of the two buttoned-down Russians. While I wait for the JJ E88CC gold pin and the Tesla ECC88 to break in, I want to describe the procedure I’m using to monitor tubes as I run them through the line stage. This falls into the, DON’T TRY THIS AT HOME, category. If you aren’t comfortable probing around in a live component, don’t try this. If you fry yourself or your component, don’t blame me. You have been warned. Refer to the Aikido circuit diagram in Part 2 of my line stage series. I measure the voltage across the cathode resistors, approximately 0.7 volt across R2 (1 for each channel) and approximately 0.5 volt across R11 (1 for each channel). Though this is not a definitive tube ‘test’ it will give you a rough idea of tube health. The Aikido circuit is direct coupled (no capacitor) between the input tube and the output tube. The current draw of the output tube will be influenced to some degree by the current through the input tube. Even though the voltage you will be measuring is innocuous, there could be other dangerous and potential fatal voltages nearby. One wrong move and things could get ugly fast. The Aikido circuit in the N-F-P line stage is pretty tame, with a B+ of 80 volts, so the risk in this case is fairly low. If you aren’t comfortable doing this, don’t try it. On a different component than the Aikido circuit in the N-F-P, the cathode resistors will of course be different, and other voltages could be significantly higher too. You’ll need the circuit diagram for your component if you attempt to make measurements. In the case of the Aikido, that uses four of the same tube, I’ll switch them around to try to get the best balance of voltage readings. V1 and V2 matching. V3 and V4 matching. During the shootout, one channel dropped in volume after only 3 or 4 hours of use. A quick voltage measurement isolated the tube that had faded. This is why I go on about running up a few hours on new tubes as soon as you receive them, even if you’re not planning on putting them to use immediately. If you purchase tubes from a reputable vendor, it should not be a problem getting a replacement. Buying on an auction site from a cowboy half a world away will have a far less certain outcome. Current production. Thetubestore.com $24.95 US ~$34 CDN. This is the gold pin version of the standard tube tested in part 1. I’m going to change it up a bit and listen to some different tracks from my standard fare. I’ll listen to some Stevie Ray Vaughan, Yellowjackets from Live Wires and Loreena McKennitt from The Book Of Secrets. I’ll listen to the JJ Gold Pin tubes first, then switch over to the plain JJ’s I wrote about in part 1. Sound: As expected, the Gold Pin (GP) and the Plain Pin (PP) sound more alike than different. Sensory memory being notoriously poor, I did listen to the same tracks within an hour or so of each other. There were some slight differences, I’ll get into those in a moment, but these could be accounted for by the following; my PP tubes were likely manufactured a few years earlier than the GP tubes, and there are about 250 hours on the PP versus slightly less than 100 on the GP. In general, both sets are not the ultimate in resolution and control but damn, they are musical. I defy anyone to put on their favourite toe tapping tune and keep their foot still while listening to these tubes. The GP has slightly more refined highs, and a bit better bass control. The PP is slightly more, and I’m stretching here, exuberant. I would expect they would sound even more alike, once the hour count on the GPs crosses the 200 mark. Conclusion: You can’t go wrong with either tube, and their price relative to other plain pin or gold pin tubes is competitive. Is the gold pin tube worth an extra $14 CDN? I can’t answer that except to say that if your stereo dungeon is in a humid part of the house, i.e. the basement, the gold pin tube might prove the better bet in the long run. Rating: 65 Recommended. I’m rating these the same as the plain pin tubes, as they are so similar. NOS. Thetubestore.com $29.95 US ~$40 CDN. These tubes are slightly different than the ones on Thetubestore website. They also sport factory code 32, which is preferred. See Tesla review in Part one for more details. As of this writing, the lower priced of the two Teslas on Thetubestore.com site are shown as out of stock. If you want some of these, just phone their toll free number if the site hasn’t been updated yet. Sound: Coming an hour or so after the JJ’s above, these have a difference similar to the one between the JJ’s and Teslas in Part 1 of this shootout. The Teslas are somewhat more detailed in the mids and treble than the JJ’s. The bass, though slightly more taught, is not quite as deep as the JJ’s. The Teslas are appealing, but the JJ’s have an organic quality that I find attractive. As mentioned above, and in Part one, a pair of JJ’s and a pair of Teslas make a good combination in the N-F-P. Like the JJ’s above, my personal set of Teslas sound very slightly more refined – but again, this is probably down to mine having more hours on them. I couldn’t get a decent voltage balance on my set, no matter how I juggled the tubes. I think my set came from the second-string players on the team. It was easy to get a good voltage balance on the Teslas from Thetubestore. I have a phono stage on loan from a friend, that uses two 6DJ8 tubes. The tubes in it are NOS Amperex Holland E88CC’s. The Amperex are quite microphonic, and have a bit of hiss as well. Just for fun, I replaced them with two of the Teslas on loan, and although they are not (to my knowledge) selected for low noise and microphonics, they are much better on both counts than the Amperex tubes. Conclusion: These are a good sounding, though pricier alternative to the earthier sounding JJ’s. Rating: 70 Recommended. I’m rating these the same as the Teslas in Part 1. They sound nearly the same as my personal Teslas, but measure better electrically. They are twice the cost of the plain pin JJ’s, but not bad for NOS. The Teslas have a different sonic perspective that some might think worth paying extra for. Current production. Thetubestore.com $16.95 US ~$23 CDN. Current production. Thetubestore.com $27.95 US ~$38 CDN. Sound: The plain pin and gold pin tubes are indistinguishable sonically, so one description will suffice for both. I couldn’t really warm up to these tubes…pun intended. It’s not that they sound bad, but that they sound a bit bland. The bass is reasonably full, but not as distinct as I’ve heard from others in this survey. The midrange is OK, but doesn’t really engage me. The treble is slightly rolled off. The bass, midrange and treble seem a bit like separate entities, and aren’t working together. Maybe I’m a bit jaded after all the good tubes I’ve heard recently. It was difficult to get a reasonable electrical balance with these tubes. Conclusion: Not my cup of tea sonically, but the plain pin version is affordable, and might be worth a try if your system needs to be mellowed out a bit. Rating: 55 I’m sitting on the fence with these tubes. I’m not going to pass judgement with a recommendation or not. It had been 4 or 5 days since listening to the N-F-P, as I’d been putting some hours on the E-H tubes. I’d wondered if maybe my memory had slipped a bit. Both Electro-Harmonix tubes and the Genalex have what appears to be identical internal construction. I’d liked the Genalex much more, so I popped them into the line stage and let them warm up for 20 minutes. The sonic performance of the Genalex just sails right on past the E-H tubes – as well it should for nearly 3 times the price of the E-H plain pin. The Genalex is more detailed and dimensional, and all parts of the spectrum are well synchronized. I could be wrong, but I suspect the E-Hs and the Genalex are made in the same factory (Editor’s note: this is true, all current Russian production is under one factory roof). Could it be that the best ones are cherry-picked for Genalex labeling? I doubt we’ll know but it wouldn’t surprise me if this is the case. Word on the street, well, the internet, is that the Genalex are good tubes. I’d have to agree based on my time with the Genalex E88CC/6922. Don’t you just hate it when the best costs more? Like a fish story, there’s always the tube that got away, too. I had hoped to borrow a set of NOS Hungarian-made Tungsram E88CC tubes from Thetubestore as well. They are listed on the web site, but were out of stock. Jon at Thetubestore said that the Tungsrams are tough to find. This likely means that stocks are dwindling. If that’s the case then the Tungsrams out there could be the dregs, or that they are too pricey for the performance they offer, or both. Unless someone finds a shipping container or two of these, they might not be worth chasing down. The lesson here is, if you fall in love with a particular tube, or any other part no longer being produced, grab ‘em while you can. With tubes especially, put a dozen or so hours on them just to make sure they are alright before you squirrel them away. I know this from bitter experience when 3 of 4 tubes I purchased in a set were bad to start with or went bad after about an hour. They were purchased from a normally reputable vendor (not Thetubestore). I’d had them for over the 90 day warranty period before I used them, and well, you know where this story is headed. Luckily I’d had only spent about 20 bucks a tube, but it still rankles. What about the 6N1P, you ask, it’s only about 10 bucks? The 6N1P draws a lot more filament current, and the other electrical characteristics are much different, too. It is not a plug in replacement for the 6DJ8, no matter what you might see on the internet. The 6N1P isn’t a bad tube, it’s just that it’s not even close in electrical characteristics to a 6DJ8. Matsushita Japan, NOS: Pricey and bass shy. Amperex 6922 USA, NOS: Very pricey, nasty midrange and treble. Mullard E88CC Mitcham UK, NOS: Pricey and a bit disjointed sounding. Electro-Harmonix 6922 Russia, new production, plain pin and gold pin: not bad, just didn’t grab me. JJ E88CC Slovakia, new production, plain pin and gold pin: Both are bargains, especially the plain pin. Neither one is the ultimate in bass control or treble extension, but they are engaging and fun. The plain pin is an inexpensive one to try, if you think a component in your stable would benefit from a change. Tesla ECC88 Czech Republic, NOS: A good sounding tube, different from the JJ’s but mixes well with them. A bit pricey, compared to the plain pin JJ’s, but not bad for NOS. Another one I’d recommend, if you’re looking to change up the sound of a component without spending big bucks. I’d buy this set, but I have a few like it in my stash already. Then again…. Genalex Gold Lion E88CC / 6922 Russia, new production: The most expensive new production tube in this survey, but might just be worth it. A clear, nuanced and direct but non-fatiguing sound. These are fine tubes, and as I write, Christmas is less than two weeks away. I’m going to ask Santa for a few of these. 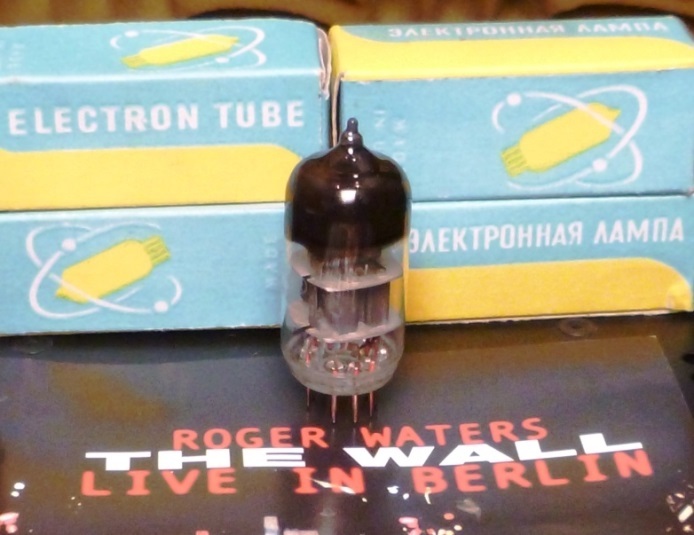 Reflector 6H23p-EB Russia, NOS: Nicely detailed, but non-fatiguing midrange and treble is this tube’s specialty. The bass is tuneful but slightly reticent, compared to some of the others surveyed. Interesting to try if you’ve exhausted all other possibilities. Not crazy expensive like some NOS, but at about $80 CDN a tube, they’re not an impulse purchase either. I wouldn’t mind having some of these stashed away as well. Wait, my birthday is fast approaching, maybe I’ll drop a few hints to my lovely, kind, understanding and adorable wife. Though not a complete survey of all 6DJ8s and its variants, I think I’ve covered most of the new production tubes, and a smattering of the NOS available. 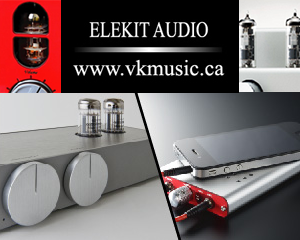 This should give audiophiles who use this tube a start on their search for one that will suit them best. Most tube vendors offer matching for about US $5 a tube. In the case of dual triodes like these, it will ensure the sections within any one tube are a decent match. I think for pricey tubes, say anything over US $40, it’s worthwhile. Or worthwhile for all tubes, if you’re obsessive compulsive like me. I kind of dumped on some expensive NOS tubes. I’m not suggesting they’re all crap; I purposely didn’t ask for anything real expensive from Thetubestore, because I wanted to keep my feet firmly planted in the real world. Great sound can be had without spending a ton of money. In fact, the Tesla and Reflector are decent NOS at not crazy-expensive prices. I have a new found respect for all who do tube shootouts. They’re a lot of work. I don’t want to do another one of these anytime soon. Many thanks to Thetubestore.com for the loan of tubes used in Part 2 of the shootout. Nigel, thanks for your comment. Tube shootouts are a TON of work so I’m not going to tackle another one any time soon. I did a NOS comparison on some 12AU7 a few years ago and unfortunately the only ones I really liked were Telefunkens. That’s not to say there are no good new tubes I just haven’t listened to any. The Aikido phono stage I’m working on uses 12AX7s. Maybe I’ll get to some of these in late 2017. Totally agree wuthyou on the Reflector. It WAS my birthday and so I took a chance and purchased one for my Counterpoint preamp. Wow! What a welcomed mid-range bump when compared to my Philips 6922 and my gold-pinned 6922 Russian Electro Harmonix. Thanks for the eye (ear) opening review!! You are spot on with your evaluation. I have personally tested all the tubes in the survey and agree whole heartedly with your findings! GREAT JOB!! Thanks for your kind comments Mr. Anderson. It’s always nice to get some feedback, especially so if it’s constructive.